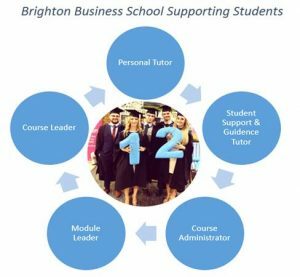 The National Student Survey (NSS) and the Brighton Student Survey (BSS) launched on 5th February. There are staff briefing notes available for the NSS and for the BSS The NSS runs until the 30th April and BSS runs until 5th March. We know from experience that if staff are informed and can then introduce the survey, it is more likely that students will complete it and complete with the appropriate consideration. The key messages are that students should consider the whole of their university experience and to remember the positive as well as any points for improvement. Students will receive a thank you for completing the surveys- a £5.00 food voucher for the NSS and a Kit-Kat for the BSS. These are available from room 149 for students to collect or can be collected by staff to distribute. For the NSS there are 13 final year students who are supporting the Business School- they have organised a Big Night In on Thurs 8th Feb 5pm-8pm in Mithras House Canteen to encourage students to share their views and also showcase positive developments at BBS. Thank you for all the hard work of the module teams that already have marked and returned work to students – for level four modules if some students have failed they may be able to take advantage of In Year Module Retrieval please click on the link for further information. As you know coursework marks and feedback must be made available to students via Studentcentral within FOUR WEEKS (20 working days) of the submission date. The school is working towards improving students’ perception of the feedback they receive from assessed work and to standardise the grading schemes applied. You can use the search function on the home page of the blog to search of other information – please let Julie Fowlie know if there is something you would like to have included. After a successful launch last year, the University of Brighton’s elearning team is excited to bring back ‘Burning of the Apps’ for, we hope, an even bigger event on Wednesday 20 December 2017. The format will stay the same, but we hope this year to extend beyond just Falmer and include other campuses. For those who missed last year’s event, the focus is on best practice examples where technology is being used to support learning and teaching. This could include mobile apps, web applications, programming, devices, multimedia etc. We are looking for staff who would like to talk through their example or project in the form of a Q&A conducted by a member of the elearning team, discussing ways the technology has been utilised in teaching to enhance learning at the university. For those wishing to participate as an audience member, there will be plenty of activities and refreshments throughout the day at the Explore Studio in Checkland Building. Please come along and have a go at using some of the latest technologies available for use in HE and join us with a mince pie or two! Research tells us that students who perform well in their first assessment are successful throughout their studies. Findings from a yearlong learning analytics study with students in Brighton Business school supports this statement so the eLearning team want to help schools ensure that first assessments for our level 4 students are a success and that the technology doesn’t form a barrier to our students. We will be running a number of events to help ensure that your modules are ready to go and that you have the correct resources available to support your students. Drop in sessions will be offered giving you an opportunity to check your modules are “assessment-ready” and the right support is in place for your students.